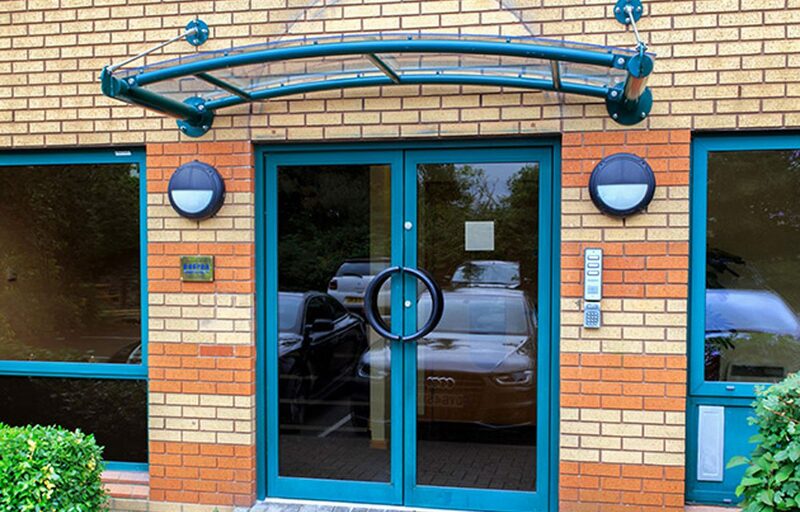 Wall mounted stainless steel canopy. 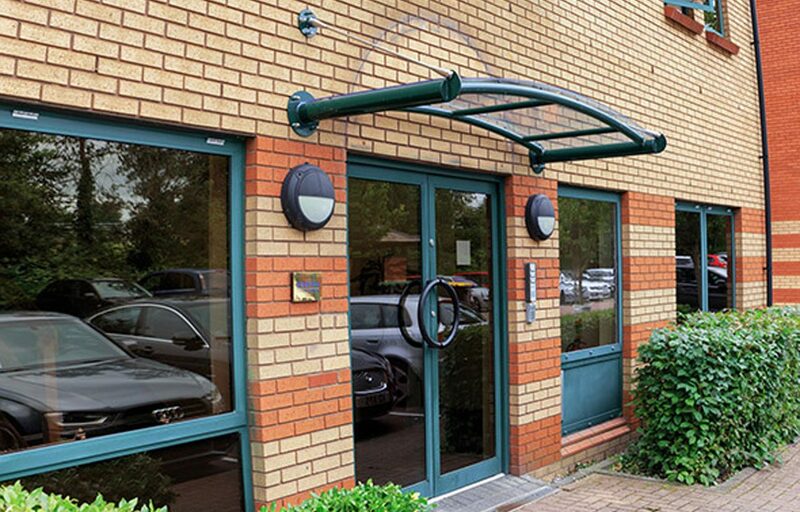 This 2.5m polyester powder coated barrel vault canopy adds an architectural feature to the front of this office building. 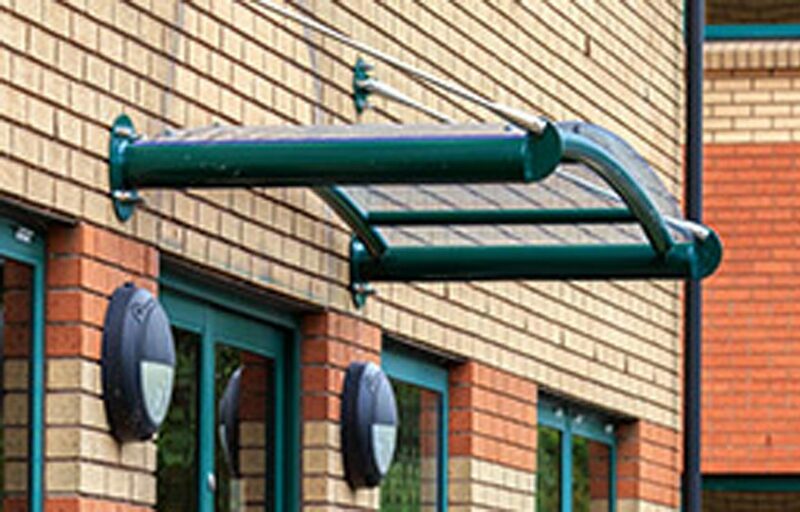 These canopies have a very quick lead time and can be manufactured and installed in no time at all. We supply powder coating in all RAL colours which makes it easy to supply using your brand colours.